The Marine Corps’ F-35Bs participate alongside the Air Force’s F-35As for the first time in Red Flag history. The U.S. Air Force began Red Flag 17-3, its three-week air-to-air combat training exercise, on July 10 and will conclude July 28. Aircraft will depart from Nellis Air Force Base, Nevada, twice daily to participate in combat training missions on the Nevada Test and Training Range north of Las Vegas in one of the Air Force’s largest joint exercises. Each Red Flag exercise is unique and Red Flag 17-3 is no different. For the first time, there will be two F-35 Lightning II squadrons participating. 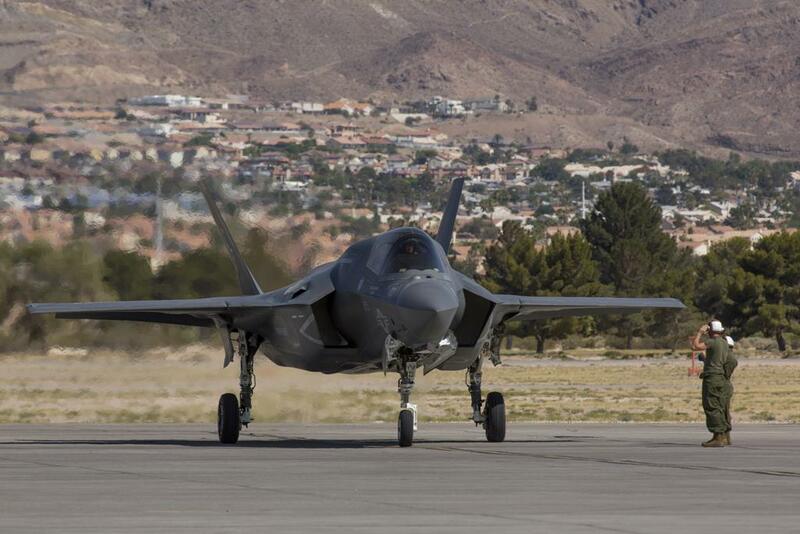 The Marine Corps’ F-35Bs will participate alongside the Air Force’s F-35As for the first time in Red Flag history. As the F-35 mission continues to grow, so will the operators, maintainers and the system as a whole. We get to learn in a realistic training environment as we continue to progress down the road with this platform and other fifth-generation or fourth-generation aircraft, said Sadler. 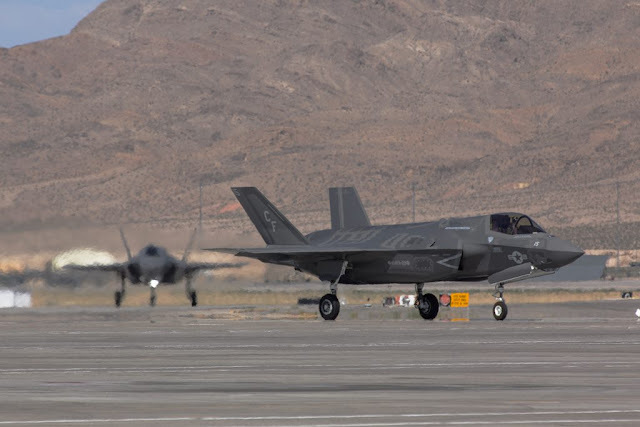 Sadler said, having two F-35 units at Red Flag will allow us to learn about the capabilities of both the F-35A and the F-35B models from each other. Red Flag consists of a variety of attack, fighter and bomber aircraft, reconnaissance aircraft, electronic warfare aircraft, airlift support, search and rescue aircraft, aerial refueling aircraft and ground based command and control, space and cyber forces. More than 2,500 joint warfighters will participate in the multi-domain integration, Red Flag 17-3, where they will operate together and successfully defeat the threat.